In today’s quickly changing world, companies are developing and launching more new products than ever before. But also on the rise – especially when innovative technology and fast time-to-market are involved – are product reliability and manufacturing yield problems. Pinpointing their exact cause can also be extremely difficult. When that is the case, our Integrated Product Development and Quality in Manufacturing team can help your own people dig deep to discover root causes and implementable solutions in just one-weeks’ time. Why does my yield keep unpredictably fluctuating from week to week? How can one product function properly while another from the same line is faulty? Does the problem maybe go beyond our materials and manufacturing methods – do we need to revisit design, or look into staffing or quality control? Such in-house evaluations often lead to changes. But if they still do not deliver the desired quality in manufacturing improvement, you may need a fresh approach that investigates the problem from a wider, integrated product-manufacturing viewpoint. This approach merges silos within your company, and unites them in practical, fast-learning-cycle workshop sessions. Our cross-functional team of industry consultants and technical manufacturing experts acts as facilitator, moderator and sparring partner in linking up the information and insights necessary to identify the crux of the issue, and pinpoint steps to resolve it. Looking at product development and quality in manufacturing issues in this integrated way generally delivers an implementation-ready solution to yield, reliability and other problems in just one week. Equally important, it also helps to establish better-aligned internal processes that prevent such issues from arising in the future. Remember the UEFA Euro 2016 Soccer Championship? The shirts of the Swiss team tearing on virtually every contact? How can this happen during a high exposure event with top brand products? This shows the challenges of inconsistent yield in manufacturing. Turning a promising concept into a winning product is an extremely complicated balancing act. The ‘ideal’ design will depend on exactly where their preferred ‘sweet spot’ is within the competing parameters of manufacturing cost, time and quality. Our team is a fully integrated one, made up of consultancy, R&D and manufacturing experts. They bring to the table broad theoretical knowledge of how projects should go and wide practical insight into what can go wrong. This is the ideal combination – working in close interaction with own R&D and manufacturing teams – to discover exactly what is disrupting your product development and quality in manufacturing. Throughout the workshop, we systematically explore and evaluate all relative production areas, from design intention and transfer, to quality control, and manufacturing maturity. We do so making use of leading Business excellence methods such as V-Model, risk assessment and Lean C. This ensures clear-cut, best-practice ways of working that deliver quick and reliable results. 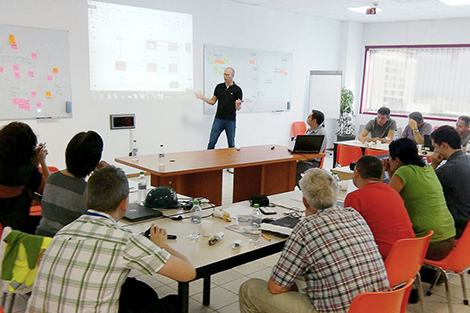 In the course of this, we look at all aspects of the product creation process and how it is managed – from system design engineering, to transfer function & knowledge management, and manufacturing and validation. This rigorous approach leaves no stone unturned in acquiring all the information and insights needed for a successful result. The workshop outcome is put into internationally established best-practice recommendations within a framework that is clear, concrete and easy to implement. It includes both a time plan and the resources needed to resolve your product development and quality in manufacturing issues in the best and fastest way. Our manufacturing specialists are familiar with all the latest and most advanced production techniques. If desired, they can also provide assistance beyond the workshop period in implementing and optimizing the recommendations it delivered. They are also available to provide support you in increasing the reliability and predictability of your manufacturing processes and results in general. The way we address quality in manufacturing problems prevents the sensitive situations that can often arise when trying to solve stubborn internal production problems across different departments. 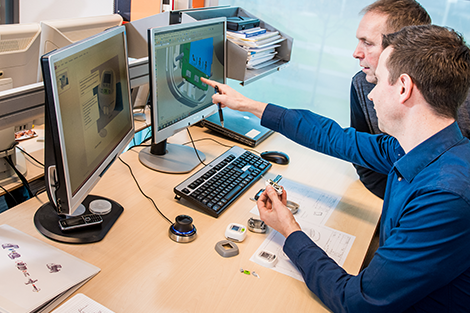 Our industry consultants keep everyone focused on the holistic overview, and the technical manufacturing experts create a team effort mentality that unites everyone in a proactive and positive effort to find a solution. And since this is almost always found in the links between product development and manufacturing, it stimulates a more integrated way of working between your own people in the transfer of design for new projects.